Yes myself and two friends (I would say colleagues...but they are more than that) found ourselves made redundant the month of Christmas last year so we took a leap of faith, made a negative into a positive and opened up MOKU Communications. Continuing to do the job we loved... whilst being the boss! This meant - goodbye office life and hello working at home. Since then I have learnt a fair few things, so I thought I would share them with you all - because I'm all about honesty here and you never know... you may relate/agree! 1. I am VERY easily distracted. I mean, I knew this already. 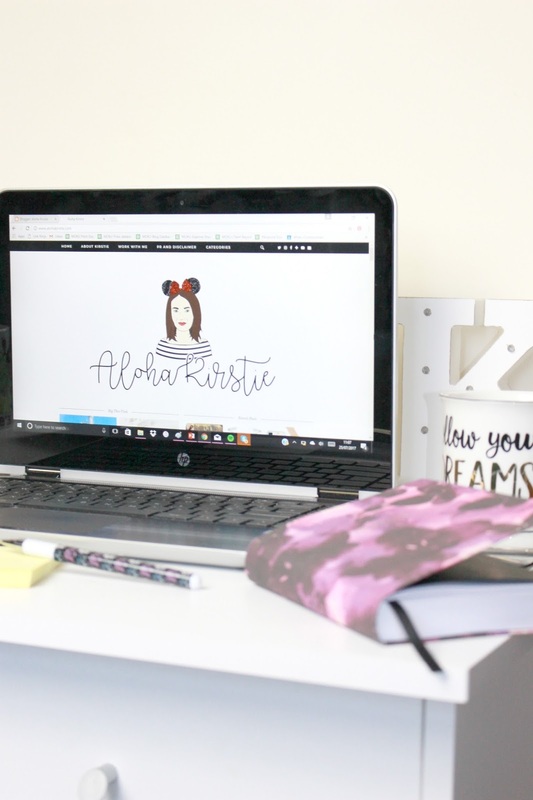 I have always had a very scatty personality (literally ask anyone I know) and within my work life I've always been a super multi-tasker, taking on more than I should and trying to balance it all, but when you're at home surrounded by housework, Netflix and the kitchen cupboards - it can be a real test. There's washing up in the kitchen to do, the washing machine has beeped to tell me it's finished, I haven't tidied up the lounge in at least 48 hours.... I can easily just pop away from the laptop screen to tackle a quick job but end up roaming around the house for at least an hour! Opps! I LIVE for the 90s/00s playlists people have made, they're literally tune after tune and there's nothing better than a song you total forgot about coming on shuffle and jamming out in your computer chair! You can find me HERE - if you're a Disney/musical/rnb throwback/cheesy pop fan... you're gunna wanna follow me! Yes.... I have realised that, as much as I LOVE my Kirstie time, I am a people person. I do miss interaction with you know... humans each day, as soon as my boyfriend walks through the door after work I have a full on one sided conversation with him for a good ten minutes to let out all my feelings of the day.. which he of course hates ha! There's also a bit more to this.... but I'll be talking about it on here very soon! If I have to leave the house for a meeting then it's an occasion and a half - I've forgotten how to live outside! Luckily for me my boyfriend is pretty good at getting me up if I'm struggling - I never stay in bed past 8am though. Ever. I have to get up and on - I always have my to-do list for the day and try my hardest to focus on one task at a time, take a lunch break and finish by 6pm. Do you work at home? Have you learnt anything about yourself because of it? I feel you on the routine. If I work from home I always end up in PJs haha! I was made redundant last year and took some time out before returning to work... and hated it!! Like some of the points you've made it can be so lonely and sometimes I could go a whole day without talking to anyone. I miss my office life and was just lucky I found a job that's flexible working so I have the balance of both now.